Set in sprawling estates in some of the world's most desirable locations, they boast the likes of swimming pools, nightclubs, casinos and even theaters. And now a list of the most expensive properties of world. 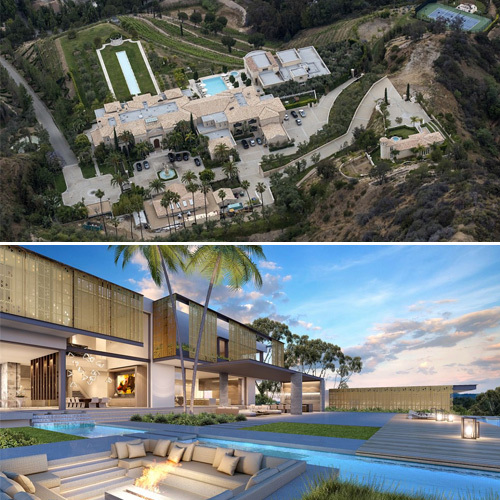 Sitting on a hilltop with views of the San Gabriel Mountains, LA basin, Beverly Hills and the Pacific Ocean, the Bel Air estate will have five swimming pools, a casino, a nightclub with VIP access, a lounge with jellyfish tanks replacing the walls and ceilings, and many other amenities when completed.